White Oaks Mall is a mall in Springfield, IL. This photo was sent in by CTTF. He writes: "White Oaks Mall is the mall serving the city of Springfield and is another of the many tourist attractions available while in the capital city where you can satisfy your urge to shop until you drop. These restrooms were just recently redone with new tile and, of course, new fixtures. 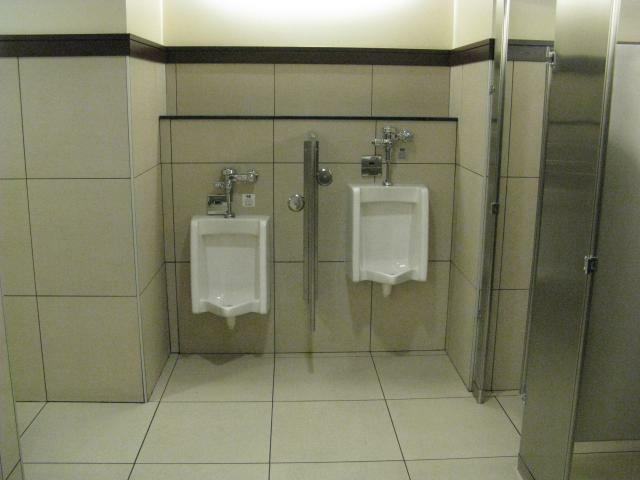 I, unfortunately was unable to get a photo of the old restroom and fixtures before renovation in my previous visits."